Our company offers a wide range of Ignition Electrodes, which are used for electrical products that are operated by gas such as gas ovens, gas burners and gas cookers. These products are made from high grade raw materials and give better functionality to the clients. Our products are easily available in the market at market leading prices and are durable in nature. Ar-co burner ignition electrodes & ionization rods. Baltur burner ignition electrodes & ionization rods. Bentone burner ignition electrodes & ionization rods. Cuenod burner ignition electrodes & ionization rods. Dunphy burner ignition electrodes & ionization rods. 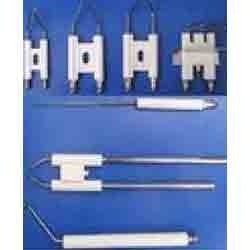 Ecoflam burner ignition electrodes & ionization rods. Fbr burner ignition electrodes & ionization rods. Lamborghini burner ignition electrodes & ionization rods. Narayan burner ignition electrodes & ionization rods. Nuway burner ignition electrodes & ionization rods. Riello burner ignition electrodes & ionization rods. Sookook burner ignition electrodes & ionization rods. Oilon burner ignition electrodes & ionization rods. Unigas burner ignition electrodes & ionization rods. Weishaupt burner ignition electrodes & ionization rods. Sot burner ignition electrodes & ionization rods. 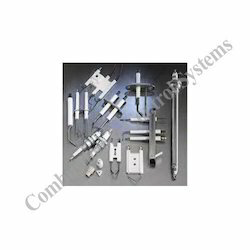 Hitherm burner ignition electrodes & ionization rods. 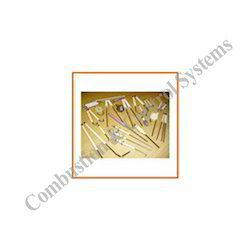 We also offer ignition electrodes as per drawing or as per sample. We are engaged in manufacturing a qualitative range of Ignition Electrodes for Oil and Gas Burners that are manufactured using superb quality aluminium and Teflon wires. These products are available in different sizes and are suitable for resistance against heavy voltage and heat. Our products are long-lasting and cost effective and are used for various applications. These are specially made for clients like: Ecoflam, Riello, Baltur, Weishaupt, Fbr, De Unigas, Lamborgini. Combustion and control systems Mumbai, offers you following brands Ignition electrode and ionisation probe and spark plug as per customer drawing or sample. 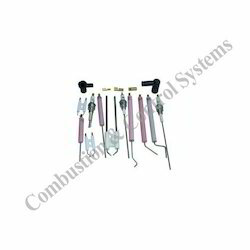 Combustion & Control Systems, Mumbai offering H type Ignition electrodes for Ignition purpose. Material: 95% alumina Feature: high mechanical strength, electrical insulating, no-porous, resistance to high temperature and high voltage, and consistence dimension. Looking for Ignition Electrodes and Ionozation Probes ?